The contingent of companies in the country that develops and makes fuel-efficient technology for big trucks and buses is strong and growing. 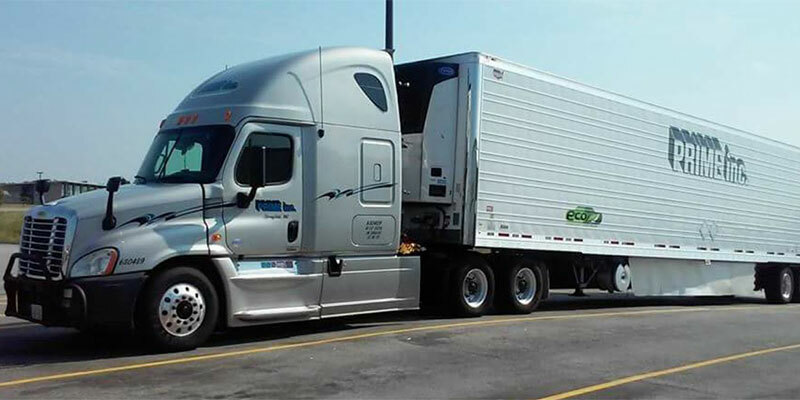 Clean transportation industry group Calstart said in a report issued Thursday that it has identified 255 suppliers of low-carbon tech for heavy-duty vehicles operating from 535 facilities in 40 states. Calstart found operations working on vehicle aerodynamics, intelligent controls, weight reduction, alternative fuels, electrification and more. Advancements in fuel-efficiency technology now include waste heat recovery for current diesel engines, low rolling resistance tires, lightweight materials, intelligent vehicle-control systems, dual-clutch transmissions and fuel-efficient trailers with skirts, gap reducers and boat tails. Together, the enterprises make up a sprawling economic sector that will help trucks and buses meet looming national standards for fuel efficiency, according to the group. “The U.S. is in the midst of a complete reinvention of how we transport people and cargo,” said Ryan Popple, chief executive of Proterra Inc., the Burlingame, Calif., maker of zero-emission, battery-electric buses. The Calstart white paper is the first of its kind to attempt to measure the scope of the sector, according to the group. Medium- and heavy-duty trucks and buses make up 5 percent of vehicles on the road but are responsible for 23 percent of the nation’s transportation-related greenhouse gas emissions and oil use, Calstart found. And burgeoning shipping and goods movement make the vehicles the fastest-growing transportation category. As soon as next week, the Environmental Protection Agency and the National Highway Traffic Safety Administration are expected to release an updated set of efficiency and carbon mandates for vehicles that will apply between 2019 and 2027. “The heavy-duty vehicle standards will further establish U.S. leadership in advanced truck and engine manufacturing,” wrote Siddiq Khan, senior researcher for the American Council for an Energy-Efficient Economy, in a February blog post. The proposed, so-called Phase 2 rules would save nearly 1.5 million barrels of oil per day in 2040 while also curbing heavy-duty fuel consumption to 2015 levels by 2030, even though truck activity is growing, Khan wrote. A healthy industry has cropped up to ensure that buses and big rigs meet those requirements, Calstart said. That burgeoning market generates jobs, an increased appetite for investment and the chance for American enterprises to challenge the competitive advantage long held by European firms in the fuel-efficiency sector, the authors said. But the group did not offer estimates for how much funding had gone into the industry or how many people it employed. Many entrepreneurs said they want clear, long-term efficiency regulations to help make investment less risky, according to Calstart. Companies are clustered around the country, according to the paper — manufacturers in the upper portion of the Midwest, tech hubs in California and along the Pacific coast and inventive firms along the Eastern Seaboard. California and Michigan have the most companies, with 148 and 92, respectively. In California, the industry is focused in the Bay Area, Los Angeles and San Diego; In Michigan, it’s grouped in and around Detroit. Even long-held habits are ripe for innovation. 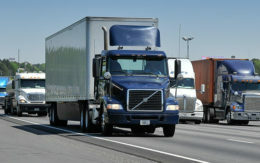 The government requires that truckers rest for 10 hours after driving for 11 hours, leading many to park at truck stops with their engines idling. But many stops are now offering “plug-in” electrification as an alternative to idling, stemming the massive fuel use and pollution caused by the practice. There are 111 publicly accessible electrification sites nationwide, equipped by companies such as Shorepower, CabAire, American Idle and IdleAir, according to a report released in April by the U.S. Department of Energy’s Vehicle Technologies Office and the Oak Ridge National Laboratory. 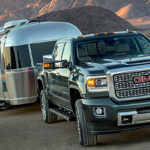 The fuel-efficiency market is so attractive, Robeson said, that some electronics manufacturers are even moving from consumer goods such as laptops to try to tap into the automotive and trucking category. Medium- and heavy-duty electric vehicle technology has been viable for several years, said Frank J. Falcone III, vice president of vehicle technology at Poway, Calif., powertrain and stationary energy services provider Transportation Power Inc. 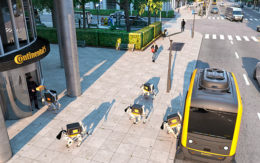 The company’s electric drayage trucks are able to perform short hauls, electric school buses frequently climb the same grades and cruise at the same speeds as their conventional counterparts, and electric yard tractors can “hook, line and sinker replace the diesel vehicle,” he said.